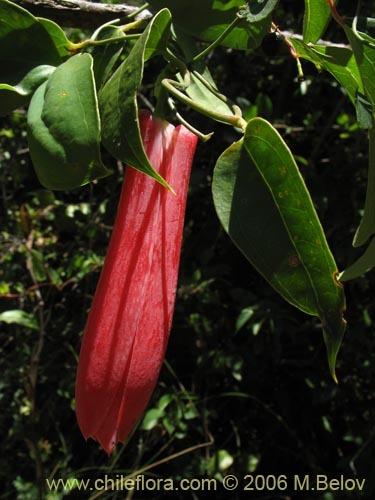 Species: Lapageria rosea Ruiz & Pav. 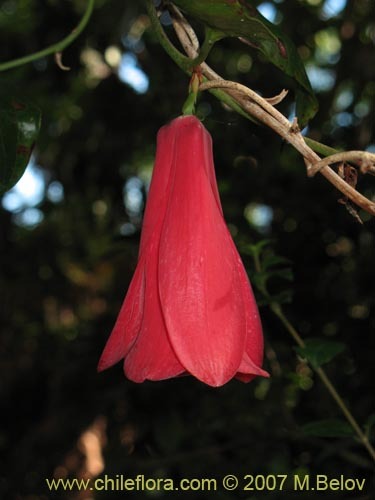 About 1 Lapageria in Chile and 1 in our data base. 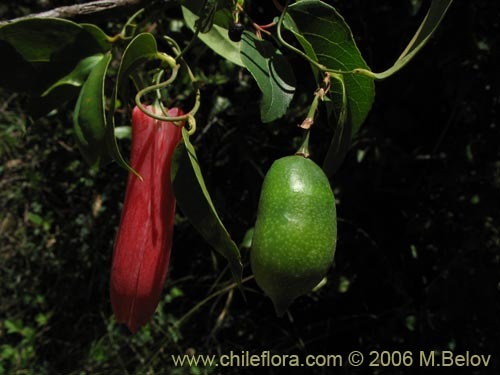 About 5 Philesiaceae in Chile and 4 in our data base. 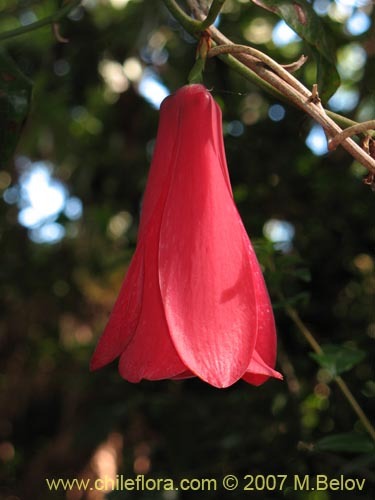 This is probably the most famous Chilean plant, the bell flower. It is the National Flower of Chile. It generally comes is red-pinkish color, and very rarely one can find in nature albine flowers as well. 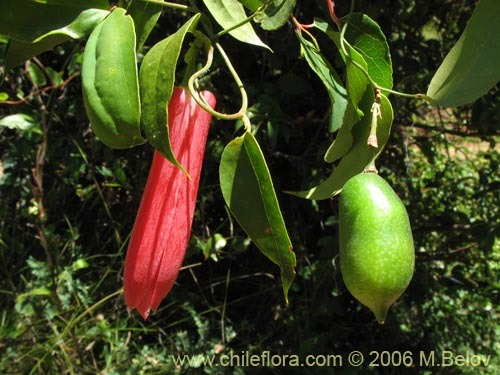 The fruits are edible and have pleasant sweet taste, especially when they are not yet ripe. The ripe fruits have hard seeds, and eating becomes rather complicating. This plant is known to be very delicate and difficult to germinate. This ill fame stems from the fact that the seeds are generally sold dry, and it is very difficult to bring them back to life. If you start out with fresh, wet seeds, the story is quite different: at least about 50 - 60 % of all seeds germinate" To germinate successfully, plant seeds in very acid soil (pH about 5), expose to cold for about 30 days and then allow to germiante at +15 +20º C. After germinating the seeds, the maintaining of the seedlings becomes complicated: they need shade from sun, a lot of humidity and watering, acid soil, moderate temperatures, and they do not tolerate transplanting (if you do it, you must be extremely careful not to damage the roots"). So keeping these plants is not for everybody. If you are doing everything aboslutely correctly expect first flowers in about three-four years, but otherwise it may take almost a decade.